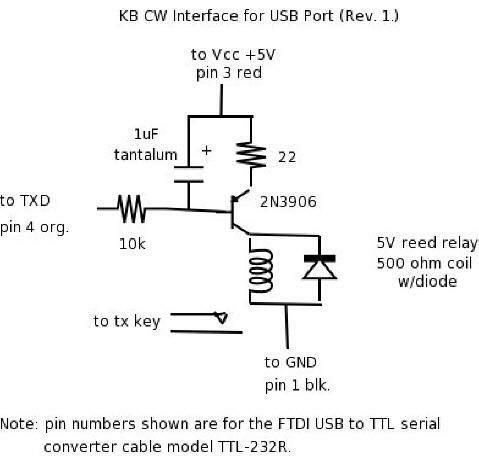 KB generates CW in a technologically unique manner that is not subject to the timing issues that plague other programs. 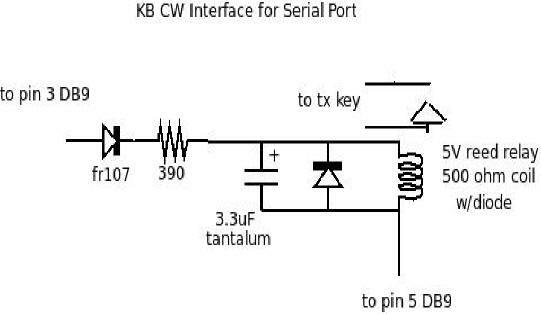 Use of the CW keyer, therefore, requires a special KB interface. Serial and USB ports are supported. The interfaces for the Windoze programs will not work with KB.